Taylor and Chase originally met at a mutual friend's birthday party in Washington, D.C. They hit it off from the beginning, and shortly afterwards started to date. 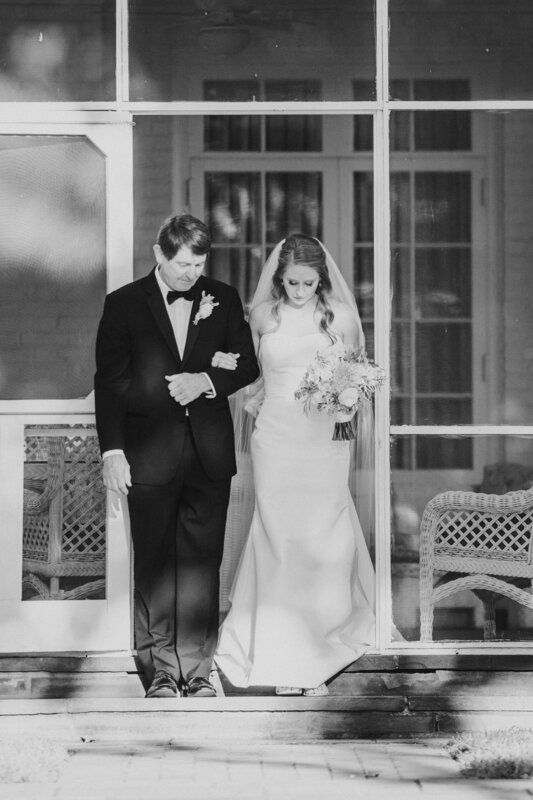 The couple's wedding was earlier this Fall and we're so excited to share some images and details from their big day! 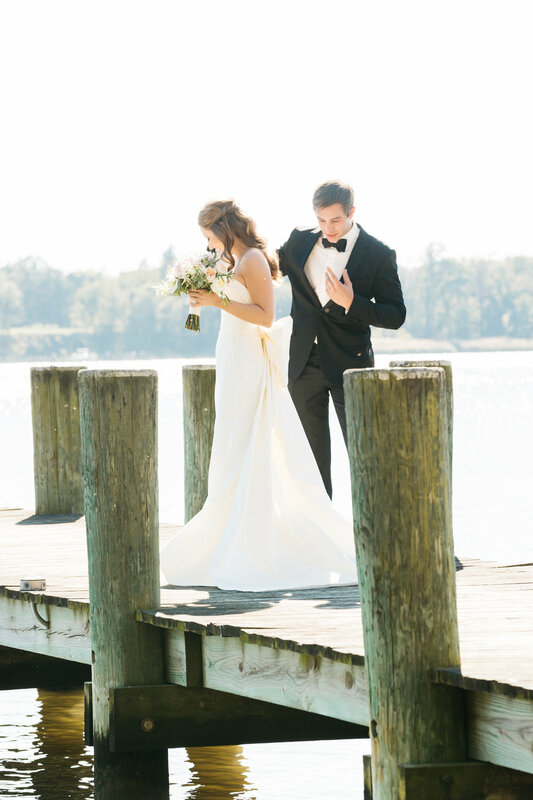 The wedding took place at a gorgeous Manor on the Eastern Shore of Maryland. Taylor and Chase's entire families stayed at the Manor's main house the days surrounding the wedding, making for a truly memorable weekend. The ceremony took place outdoors with gorgeous views of the shore in the background. The couple's puppy acted as the "puppy of honor" for the ceremony and was escorted by Chase down the aisle! Immediately after the ceremony, Taylor & Chase went into the library of the house to enjoy a celebratory cocktail away from the photographer, guests, and family so that they could truly take in the moment. The guests enjoyed an evening of unforgettable food and dancing that flew by way too fast. The reception even included unique details such as a "chambong" bar that opened towards the end of the evening and was enjoyed by everyone from Moms to Grandparents! Taylor's gown was a silk column dress featuring a sculptured origami bow accent and detachable train by New York bridal and celebrity designer, Austin Scarlett. The weekend would not have been possible without the team of vendors who assisted with the wedding. The couple felt especially comfortable around their photographer, Erin Taylor, who has worked with them in the past on family vacations and even for their spontaneous engagement photos. 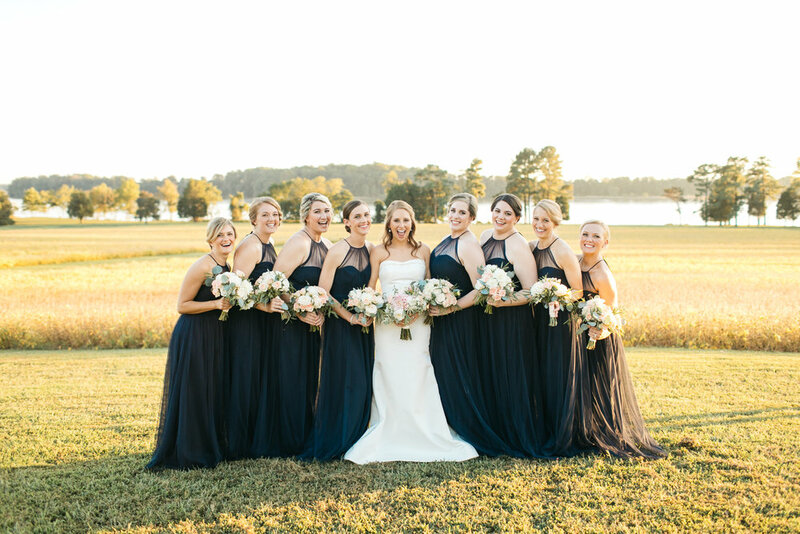 Taylor and Chase utilized Eastern Shore Tents and Events, as well as Sherwood Florist, to help transform the blank palette of the Manor into the perfect setting for their wedding weekend! Congratulations Taylor & Chase, your wedding looked absolutely stunning! Every season, Alexia & Michael travel to bridal fashion week to view the latest designs by existing and emerging designers. One of the more recent additions to our salon, is the Flora collection, which is designed by Rinat Asher of Israel. Her collection combines classical and contemporary styles that are glamorous, fashionable and flattering to the body. Below are a few gowns from her Intrigue 2018 collection that will eventually make their way to our salon this Fall! How many people can say they met “the one” in fourth grade! That’s exactly what happened for Margaret and her husband Greer. The two met each other while in elementary school, started dating in high school, and the rest is history! 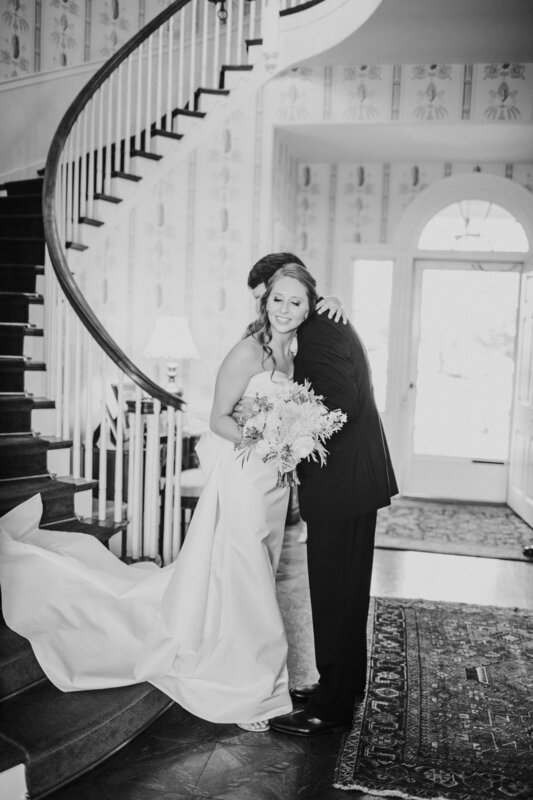 The two had an unbelievable team of wedding vendors to help make their special day a reality. Below are some of our favorite highlights from their wedding. When shopping for her gown, Margaret first started in larger cities, but didn’t have the best experiences. She visited Alexia’s, and fell in love with a beautiful gown by New York designer, Austin Scarlett. The gown was a custom cap sleeve trumpet gown with buttons extending the length of the train. Margaret’s wedding day look was completed by Teighla Norris and Ashley Calderwood who styled her hair and makeup. The moment that Margaret will never forget from her wedding is seeing Greer’s face as she walked down the aisle towards the alter. Margaret and Greer held their wedding reception at the gorgeous Carolina Country Club in Raleigh. Brenda Whitley, their wedding coordinator, has been with the club for years and is such an expert with the whole process, which resulted in the couple having a stress-free day. Margaret was previously friends with Kelly and Brian from Kelly Odom Florist. The two took into consideration her personality and then elevated her wedding vision to another level with their unbelievable skill and creativity. Dara Blakely Photography did an amazing job capturing the special day. Margaret mentioned that Dara immediately put her at ease while behind the camera, allowing her to feel comfortable while really enjoy the evening! Kasey and her fiancé, Jefferson first met one another years ago while living in Pinehurst, NC. They since had relocated to Raleigh and Greensboro respectively. They reconnected by chance and quickly became close friends. While at one of our favorite Raleigh restaurants, Second Empire, Jefferson popped the big question and they became engaged! Kasey and Jefferson celebrated their wedding in an intimate ceremony at the Proximity Hotel in Greensboro. Kasey’s gown was a beautiful embroidered sheath style by Theia Couture. 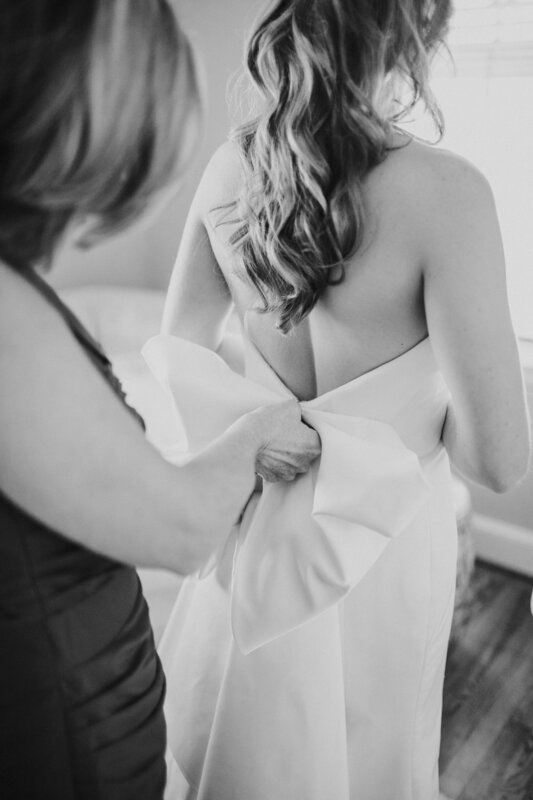 Below are some stunning images from the couple’s wedding day!